The Arlandrian: How does our garden grow? The 2012 version of the Reed & Commonwealth Park improvements. The former electrical substation before Stormaggedon. 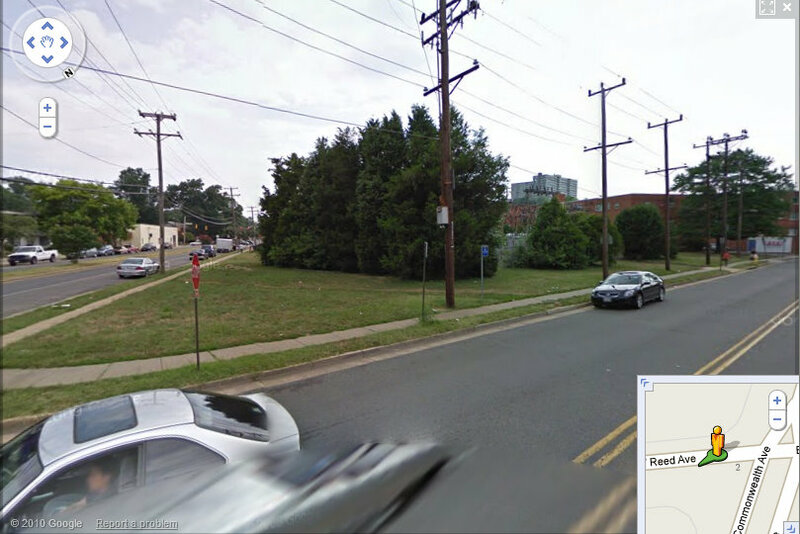 The story of the little park that could at the corner of Reed & Commonwealth Avenues continues to unfold. Students from the Cora Kelly School for Math Science & Technology spent Wednesday morning fixing up the gardens planted over the past several years. Three new trees were added as well. The results are spectacular. When the City of Alexandria purchased "3550 Commonwealth Avenue" from Dominion Power, they had Open Space funding and a goal of expanding park space, but they didn't really have a plan for it. What happened next though was something really magical. Neighborhood volunteers teamed with City staff to forge ahead even in the face of economic troubles and budget crises. For just $200 it started to resemble a park, using only cast-off garden plants donated by neighbors and mulch ground up from cut-down, unhealthy, storm-battered trees formerly used to screen the old substation. For regular readers of The Arlandrian this is not news. We documented the progress along the way with our stories: "Where Did THAT Garden Come From?" and "New Park Uncovered At Spring for Alexandria". The tale of a community coming together is something that we are really amazed by and, frankly, more than a little proud. And that gamble by citizens, that investment out of pocket and in blood, sweat and tears, didn't go unrewarded. 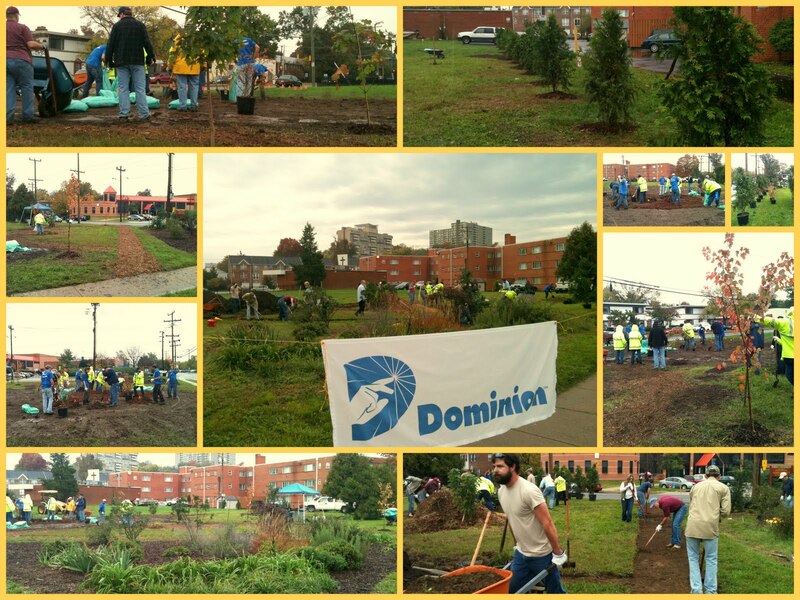 Last year, Dominion Power, already supporters of the Four Mile Run Farmers & Artisans Market through their Dominion Green outreach program, stepped up to assist at the Reed Avenue Park as well. The City also matched the Dominion dollar contribution with additional plantings. All in all, 4 new maples, 3 crepe myrtles, and 12 arborvitae have now made the community gardening project into a bona fide pocket park. The work this week by the Cora Kelly students and City staff continues this in the spirit of community pride that has built this park. Still a work in progress, a story that is still unfolding, the Reed Avenue Park at 3550 Commonwealth Avenue is an incredible neighborhood accomplishment that continues to grow. Last year's work by Dominion Power crews. The park today with new plantings and work by Cora Kelly students. I am so impressed on how far this park has come and how well the Arlandria community, the Cora Kelly family and Alexandria citizens in general are maintaining it.